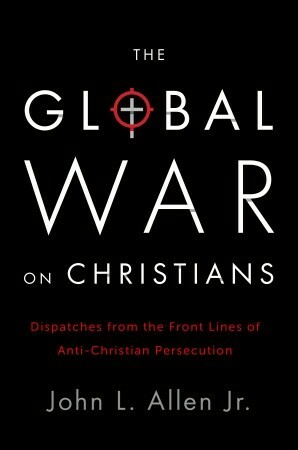 Review of The Global War on Christians: Dispatches from the Front Lines of Anti-Christian Persecution by John L. Allen Jr. This is a great book, although I found it harder to read multiple stories of persecution than I had anticipated. After a captivating introduction to some of the main themes and questions regarding persecution, author and journalist John L. Allen shares numerous stories of persecution and martyrdom organized by region (Asia, Africa, Latin America, The Middle East, and Eastern Europe, then sub-categorized by countries within each). Many of the stories are emotional or heart-wrenching, others are more “typical.” And sadly, I found that reading too many stories at once caused them to jumble together after awhile (probably the wrong response, but that is the difficulty with a subject like this). I really enjoyed both of these final sections. Part two, especially, gave me a lot to think about. Moreover, the final chapter provided a few very good and practical ways to respond. The crux of the book, though, is to understand the intensity of Christian persecution around the world, and to be moved to care about our brothers and sisters in Christ. I believe the author succeeds at this goal. 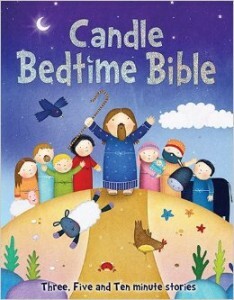 Also, there is a strong emphasis on the persecution of Catholic believers since the author himself is Catholic and most connected to Catholic sources. I have so far only encountered Protestant para-church organizations dealing with persecution (e.g. The Voice of the Martyrs), so I really appreciated this (unique-to-me) perspective. Other denominations, of course, are also included throughout. Follow this link for a preview of the first chapter. I am currently taking three seminary courses: Biblical Archaeology, Christian Theology II (Christology (the study of Christ), Soteriology (Salvation), and Pnuematology (Holy Spirit)), and Pastoral Counseling. It has been a lot of work, and while quite rewarding, I have also been pretty tired. We cover so much territory so quickly that I have wondered what to share that wouldn’t involve creating a context first, and I’ve decided to share about the incarnation. Most striking to me is that as the Son of Man Jesus represents THE man–He represents what all humanity should look like when filled with the life of God (the Spirit of God). We think of ourselves as humanity, and come up with sometimes negative conclusions about our human state. But as Jesus demonstrates, it is not being human that is the problem, but the illness (sinfulness) that has crept into every aspect of humanity and transformed our “normal”. Jesus comes with freedom, and lives as God intended for all humanity. Comparatively, we cannot possibly match Him, yet God created us (and is recreating us) to live like Christ. This is truly incredible. Also, as the Son of Man, Jesus is able to fully relate to us, and this is another aspect that is so amazing yet so hard to fully grasp. He knows us as God, but He also KNOWS us as a fellow man. I have frequently heard it mentioned that Jesus understands our sin and pain, having born these on the cross, but there is so much more than that. He also simply understands what it feels like to be human and to have limits–the joys of humanity, the temptations, the sorrows–He knows and has experienced all of it. It is incomprehensible. Jesus is no less amazing as the Son of God. Jesus is uniquely the Son of God–we are adopted sons and daughters of Christ (able to receive the inheritance and lifestyle that comes along with that sonship), but He alone is THE Son of God. He alone was born of God. We (Christians) were re-born of God (and those who have not experienced this are invited to receive His salvation as He died for the sins of the whole world)–but we are only adopted siblings of Jesus, since we are birthed by humanity. This differentiation brings a new level of exaltation to Christ, and it also has ramifications for us in understanding God’s love. How awesome is it that we would be considered a fellow inheritor of the Kingdom, as if we were born of God ourselves!?! The last I will mention is how awesome it is that Jesus, the Son of God, has become our salvation. His name is Yeshua (salvation); and indeed, He is the living embodiment of salvation in every way. If He were only the Son of Man, as Jews expect of HaMashiach (the Messiah), then He could have conquered and brought healing to the physical realm only. Instead He is the thread that can mend the gap between the heavens and the earth. He brings full restoration both spiritually and physically–it is a “now” and “not yet” promise, and I am so excited for the completion of this reconciliation. The not-so-epic Evolution/Creation debate between Bill Nye the Science Guy and Ken Ham took place this past Tuesday, and I am still thinking about it. I admit, I am relieved I did not spread the word before hand for my family and friends to watch it, because it wasn’t a great day for demonstrating that Christian Creationists can be intelligent, science-based thinkers. The original debate question was regarding whether or not Creationism is a viable model of origins in today’s modern scientific era. As I watched the debate live on Tuesday I was disappointed that Ken Ham centered his argument on theology (i.e. that Creationism is viable because the Bible says it is) more than on the evidence of the question at hand. As I watched parts of the debate again today I realized that while Bill Nye’s purpose was to prove the underlying ignorance of Creationism as per the question, Ken Ham was more interested in demonstrating (proselytizing?) the gospel message–assuming that the debate audience will (or at least should) consider the Bible first, and the evidence second. Ken Ham was successful, I think, at his aim (presenting his biblically based worldview); but I am disappointed he did not engage the atheist/agnostic/humanist portion of the audience by sticking to the tangible foundation of science that is common to both perspectives. I happen to be a literal-day, young earth Creationist, but beyond this I believe that truth is an absolute, which can be discovered and observed to all who look for it regardless of whether or not the inquirer has a Bible on hand. In other words, science should have room for Creationism (really, Intelligent Design) without any reliance on the Bible, and I honestly believe it does. In fact, I personally became a Creationist first, and a follower in Jesus about five years later; so, for me, understanding the validity of Creationism as a viable alternative to Evolution helped me to believe the authenticity of Scripture, which later led to me recognizing God when I encountered Him. I read once that Christians tend to teach their children answers to questions while Jews tend to teach how to ask good questions and debate. I do not know how representative this is, but I do know that the problem is not with holding a particular worldview (Creationism/Intelligent Design/Evolution, or Traditional Medicine/Alternative Healthcare/Folk Healthcare Practices, and so on), but in making faulty assumptions, and in failing to continually ask good questions (“Why are we seeing this?” “Why aren’t we seeing that?” “Do I have a solid basis for believing __?”). Moreover, Bill Nye wants and expects for truth to always be reasonable. I would argue that it often is not. Some things do not make sense. The supernatural realm adds another layer of complication to “reasonable”–and I say this as a rational person who has experienced many things I cannot describe (like food multiplication miracles, instant healing miracles, prophecy, and some really wild things that sound too unbelievable to list). It seems a mistake to me that we would limit science (or theology, or health/medicine, etc.) to only familiar paradigms by calling all other (potentially obscure) perspectives nonviable. This is not critical thinking. Instead we should ask, “How can we teach young people to truly think critically? How do we teach them, not what to believe, but how to think and discover solutions?” A bit of creativity, a bit of non-sequential thinking is necessary to break out of the realm of what we know and into deeper places of observation and discovery. Daniel learned all the knowledge of the Babylonians and also received the wisdom of God. I, likewise, plan to teach my kids how to truly think by providing them with the knowledge of the world, the wisdom of the historical church, and the ability to think, hypothesize, and observe in both the tangible realm of intellect, and the abstract and supernatural realms of the other worldly. Let us encourage every brain to truly think. 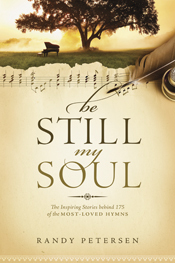 Those who love or are interested in Christian hymns will really enjoy this book, which shares many of the most popular hymns (their lyrics and cords) along with a brief, one-page, commentary of the history or interesting trivia surrounding each one. There are also periodic (two-page) histories scattered throughout that highlight instrumental composers, translators, and hymn writers. Moreover, the book can be searched by the detailed Table of Contents, by the Index of First Lines, by Author, or by Source (e.g. “African American Spiritual”). I am not too familiar with hymns, and decided to read this to learn more, since I am very interested in church history and in understanding the rich traditions of the Christian faith. I really enjoyed reading through these histories, and searching for audio versions of each hymn to supplement the written commentary. I appreciate that each hymn/person was discussed concisely and in an engaging way, and did in fact learn quite a bit through these readings. I personally read this as a devotional book (a couple hymns at a time), but it could also be used for reference due to its great structure/organization.